– more people are walking, fewer people are smoking and more community leaders are considering health in people and policy decisions. 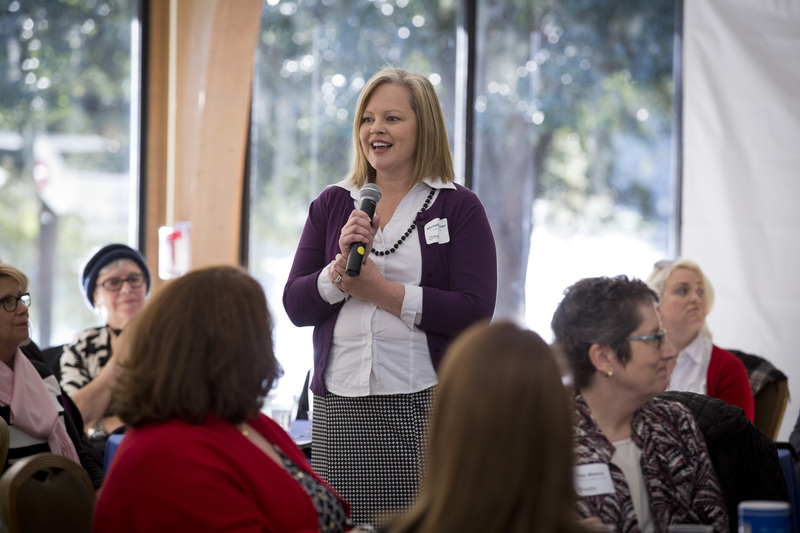 On Jan. 20 at its annual gathering of community leadership teams, volunteers, grantees, partners and friends, nearly 60 people came together at the Maitland Civic Center to celebrate and share successes of the past year. As attendees presented updates on their specific activities to create healthier communities, the energy and excitement in the room was palpable. The event was more than a celebration; it also served as a great opportunity for the exchange of ideas and formation of new collaborations. HCF focuses on four key areas – helping residents: (1) Get Active (2) Eat Healthy (3) Be Happy (social connections) and (4) Breathe Free (reduced exposure to second-hand smoke). The teams and volunteers focus primarily on policy and environmental change but also on “activating” those policies with fun events, walking programs, small grants and community workshops. Typically the community teams work separately on their own community challenges. In Eatonville, the primary focus has been on addressing the alarmingly high rates of diabetes, hypertension and obesity. In Winter Park, a new initiative to reduce exposure to second-hand smoke “Breathe Free Winter Park” was launched in April 2015. To date, 32 restaurants (and counting) have voluntarily made their patios smoke-free. “Bringing all of these people together – elected leaders, community volunteers and grantees – people who care deeply and who are intimately familiar with barriers to good health: missing sidewalks, limited healthy food choices — this is where solutions happen,” said Hamilton Buss. To view a highlight video from Healthy Central Florida, click here. To view the latest “State of Our Health” report, click here. Operation BFF is centered around the Triple E approach in action: education, enforcement, and engineering. Policy proposals that alter or repeal the ACA, Medicaid, and CHIP may impact health care in Florida. The report outlines key steps municipalities and their partners can take to support greater safety and a more walking, biking, and transit-friendly region. Orlando metropolitan area transportation and health partners are working together to help the area become safer for pedestrians and bicyclists.